If you have multiple computers in your network, you may want to enable file sharing on your network. 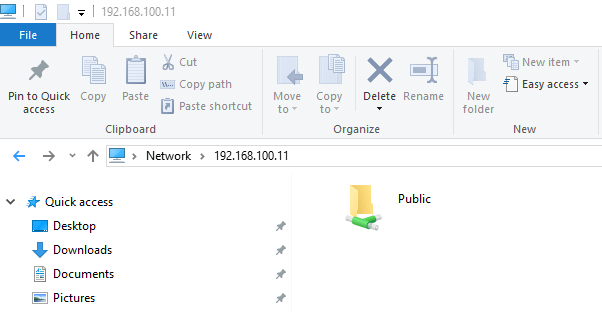 You can then share your files with other users/computers in the network. 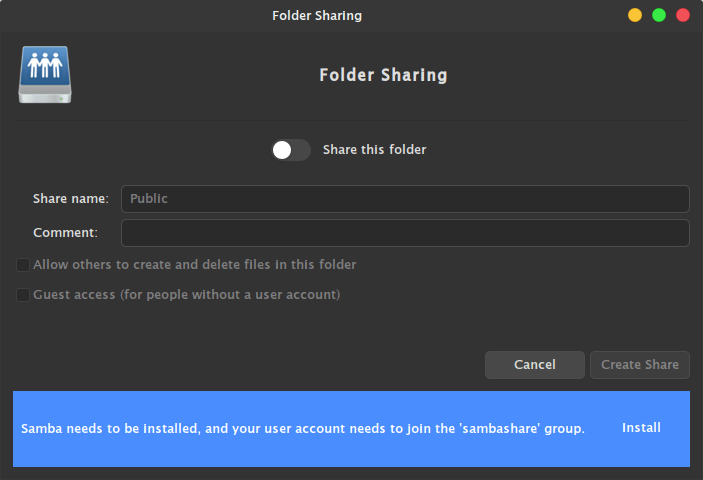 In Linux Mint 19, you can easily turn on the samba sharing feature to enable network file sharing. 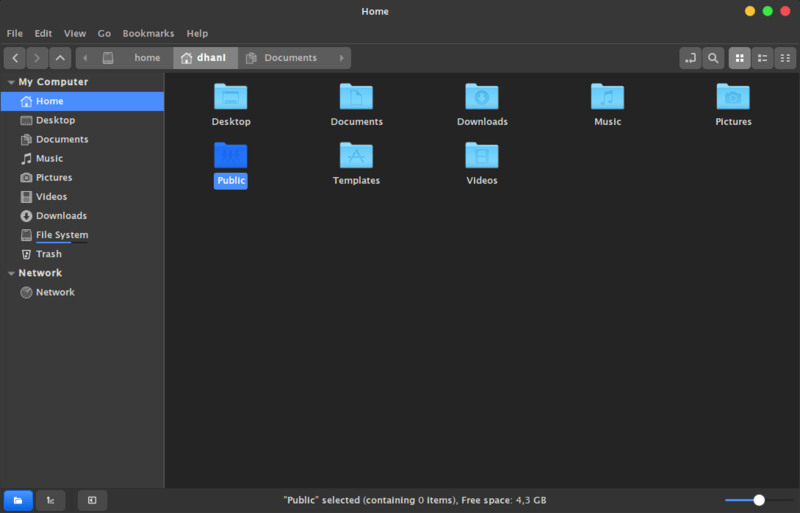 In this tutorial, you will learn how to share public folder in Linux Mint 19. In your Home directory, there is a Public folder. We are going to share this folder publicly, so everyone will have access to this folder. First, open Nemo File Manager and go to your Home folder. You should see a Public folder there. Right click the Public folder and then click Sharing Options. Since samba is not installed by default, you will see the above error. We cannot share the folder if we do not install samba first. So, let’s do it. 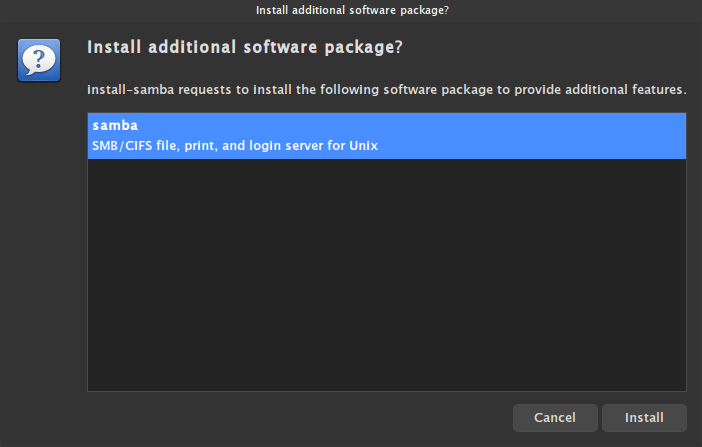 Click Install button to start installing samba. Click Create Share and you will see the following confirmation window. This is because I enable the other two options to let other people without account to access and write to the Public folder. Click Add the permissions automatically. Change the IP address with your actual IP address. Now you should be able to open the Public folder from a Windows machine. 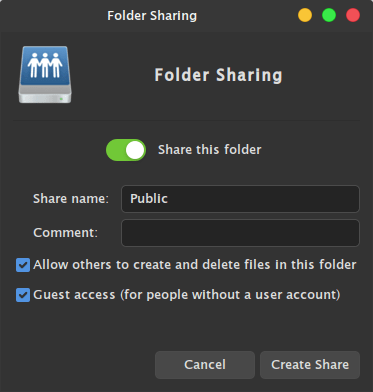 Thanks for reading this how to share public folder in Linux Mint 19. I hope you enjoy the tutorial. Check out our next tutorial. Don’t forget to bookmark this website and share it with other people.